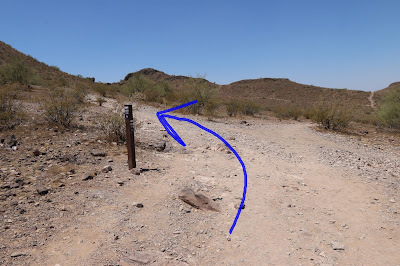 The Lookout Mountain Summit trail is part of the Phoenix Mountain Preserve trail system in Phoenix, Arizona. Lookout Mountain is an easier summit hike than most of the other peaks in the area like Camelback, Piestewa Peak and North Mountain. It also sees far fewer hikers than they do. 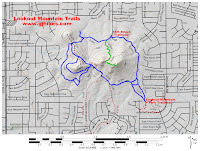 Although the trail is short it can be combined with different sections of the Lookout Mountain Circumference trail for routes of 5 more more miles. The trailhead is located at 15600 N. 16th Street. 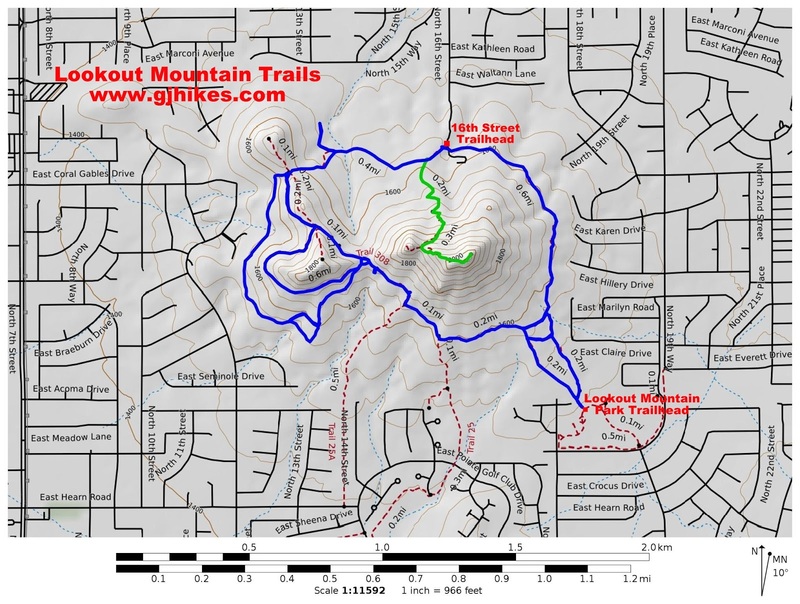 There is another trailhead on the east side of the mountain at 1898 E. Evans Dr. in Lookout Mountain Park. The trail starts out heading west sharing routes with the Lookout Mountain Circumference trail. Just over 100 yards from the parking area the Summit trail branches off on the left. From there the trail heads toward a saddle in the ridge. Switchbacks help to keep the trail from getting too steep and to mitigate erosion. The trail is a bit primitive in nature with lots of loose rocks and toe stubbers. After passing a sign warning that this is an active bee area the trail starts getting a lot steeper and more interesting. The climbing turns into a scramble once the trail reaches the saddle in the ridge. The ridge turns into a knife edge of jagged rocks just before it begins to level off. When you reach the point where you can go no higher there is one more trail marker to let you know that you have arrived. There are some nice views of the Phoenix Basin from the summit of Lookout Mountain but we particularly liked this shot looking back down the ridge at the shorter peak on the other side of the saddle. We took the photos for this post over the 4th of July weekend. At the time that we were there the temperature was above 100F. Dogs are prohibited on trails in the Phoenix Mountain Preserve anytime the temperature is at or above 100F. Lookout Mountain Summit is short enough that trail runners can get up and back in 15-20 minutes while hikers can leisurely take up to an hour if that helps you plan on how much water to carry. As far as the trail goes it is a nice something to do if you happen to be in the area. If you would like to see it for yourself then all you have to do is 'Take a hike'.